1 A None No Power Seat 1 A is a standard Business Class seat however, the position of the bassinet and proximity to the galleys may be bothersome. 1 C None No Power Seat 1 C is a standard Business Class seat however, the position of the bassinet and proximity to the galleys may be bothersome. 1 D None No Power Seat 1 D is a standard Business Class seat however, the proximity to the galleys may be bothersome. 1 G None No Power Seat 1 G is a standard Business Class seat however, the proximity to the galleys may be bothersome. 4 A None No Power Seat 4 A is a standard Business Class seat however, the position of the bassinet and proximity to the lavatory and galley may be bothersome. 4 C None No Power Seat 4 C is a standard Business Class seat however, the position of the bassinet and proximity to the lavatory and galley may be bothersome. Other flyers tend to bump into this seat. 4 D None No Power Seat 4 D is a standard Business Class seat however, the proximity to the lavatories and galley may be bothersome. 4 G None No Power Seat 4 G is a standard Business Class seat however, the proximity to the lavatories and galley may be bothersome. 4 H None No Power Seat 4 H is a standard Business Class seat however, the position of the bassinet and proximity to the lavatory and galley may be bothersome. Other flyers tend to bump into this seat. 4 K None No Power Seat 4 K is a standard Business Class seat however, the position of the bassinet and proximity to the lavatory and galley may be bothersome. 45 A None No Power Seat 45 A is a standard Economy Class seat that has restricted legroom. The tray table is in the armrest, making the armrest immovable and slightly reducing seat width. The position of the bassinets may be bothersome. 45 C None No Power Seat 45 C is a standard Economy Class seat that has restricted legroom. The tray table is in the armrest, making the armrest immovable and slightly reducing seat width. The position of the bassinets may be bothersome. 45 D None No Power Seat 45 D is a standard Economy Class seat that has restricted legroom. The tray table is in the armrest, making the armrest immovable and slightly reducing seat width. The position of the bassinets may be bothersome. 45 E None No Power Seat 45 E is a standard Economy Class seat that has restricted legroom. The tray table is in the armrest, making the armrest immovable and slightly reducing seat width. The position of the bassinets may be bothersome. 45 F None No Power Seat 45 F is a standard Economy Class seat that has restricted legroom. The tray table is in the armrest, making the armrest immovable and slightly reducing seat width. The position of the bassinets may be bothersome. 45 G None No Power Seat 45 G is a standard Economy Class seat that has restricted legroom. The tray table is in the armrest, making the armrest immovable and slightly reducing seat width. The position of the bassinets may be bothersome. 45 H None No Power Seat 45 H is a standard Economy Class seat that has restricted legroom. The tray table is in the armrest, making the armrest immovable and slightly reducing seat width. The position of the bassinets may be bothersome. 45 K None No Power Seat 45 K is a standard Economy Class seat that has restricted legroom. The tray table is in the armrest, making the armrest immovable and slightly reducing seat width. The position of the bassinets may be bothersome. 54 A None No Power Seat 54 A is a standard Economy Class seat however, the proximity to the lavatories may be bothersome. 54 D None No Power Seat 54 D is a standard Economy Class seat however, the proximity to the lavatories may be bothersome. 54 E None No Power Seat 54 E is a standard Economy Class seat however, the proximity to the lavatories may be bothersome. 54 F None No Power Seat 54 F is a standard Economy Class seat however, the proximity to the lavatories may be bothersome. 54 G None No Power Seat 54 G is a standard Economy Class seat however, the proximity to the lavatories may be bothersome. 54 H None No Power Seat 54 H is a standard Economy Class seat however, the proximity to the lavatories may be bothersome. 54 K None No Power Seat 54 K is a standard Economy Class seat however, the proximity to the lavatories may be bothersome. 55 A None No Power Seat 55 A is a standard Economy Class seat that has extra legroom however, the proximity to the lavatories may be bothersome. 55 C None No Power Seat 55 C is a standard Economy Class seat that has extra legroom however, the proximity to the lavatories may be bothersome. 55 D None No Power Seat 55 D is a standard Economy Class seat that has extra legroom however, the position of the bassinets and proximity to the lavatories may be bothersome. 55 E None No Power Seat 55 E is a standard Economy Class seat that has extra legroom however, the position of the bassinets and proximity to the lavatories may be bothersome. 55 F None No Power Seat 55 F is a standard Economy Class seat that has extra legroom however, the position of the bassinets and proximity to the lavatories may be bothersome. 55 G None No Power Seat 55 G is a standard Economy Class seat that has extra legroom however, the position of the bassinets and proximity to the lavatories may be bothersome. 55 H None No Power Seat 55 H is a standard Economy Class seat that has extra legroom however, the proximity to the lavatories may be bothersome. 55 K None No Power Seat 55 K is a standard Economy Class seat that has extra legroom however, the proximity to the lavatories may be bothersome. 65 A None No Power Seat 65 A is a standard Economy Class seat that has limited recline. 65 C None No Power Seat 65 C is a standard Economy Class seat that has limited recline. 65 D None No Power Seat 65 D is a standard Economy Class seat, however the legroom may be misaligned due to the transition from 4 seats in front to 3 seats in this row. 65 E None No Power Seat 65 E is a standard Economy Class seat, however the legroom may be misaligned due to the transition from 4 seats in front to 3 seats in this row. 65 G None No Power Seat 65 G is a standard Economy Class seat, however the legroom may be misaligned due to the transition from 4 seats in front to 3 seats in this row. 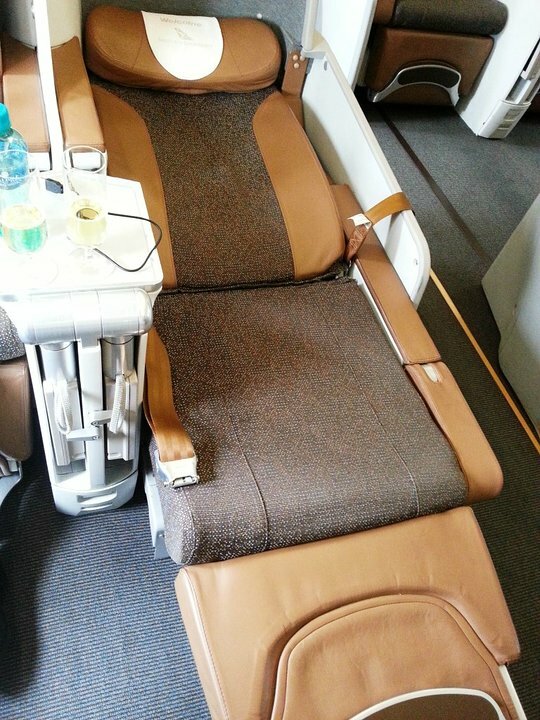 66 A None No Power Seat 66 A is a standard Economy Class seat that has limited recline. 66 C None No Power Seat 66 C is a standard Economy Class seat that has limited recline. 66 H None No Power Seat 66 H is a standard Economy Class seat that has limited recline. 66 K None No Power Seat 66 K is a standard Economy Class seat that has limited recline. 67 A None No Power Seat 67 A is a standard Economy Class seat that has limited recline. The proximity to the lavatory and galley may be bothersome. 67 C None No Power Seat 67 C is a standard Economy Class seat that has limited recline. The proximity to the lavatory and galley may be bothersome. 67 H None No Power Seat 67 H is a standard Economy Class seat that has limited recline. 67 K None No Power Seat 67 K is a standard Economy Class seat that has limited recline. 68 D None No Power Seat 68 D is a standard Economy Class seat that has limited recline. The proximity to the lavatory and galley may be bothersome. 68 E None No Power Seat 68 E is a standard Economy Class seat that has limited recline. The proximity to the galley may be bothersome. 68 G None No Power Seat 68 G is a standard Economy Class seat that has limited recline. The proximity to the galley may be bothersome. 68 H None No Power Seat 68 H is a standard Economy Class seat that has limited recline. The proximity to the galley may be bothersome. 68 K None No Power Seat 68 K is a standard Economy Class seat that has limited recline. The proximity to the galley may be bothersome. This South African Airways Airbus A330-200 features a two class configuration; with 36 flat bed seats in Business and 186 Economy Class seats, for a total seating capacity of 222 passengers. This aircraft is primarily used on a variety of long haul services. I flew South African Airways Airbus 330-200 from Washington Dulles to Johannesburg via Dakar both ways and found it to be just alright. The legroom in economy is barely enough, but pretty standard. There are no power plugs in economy, which have been really nice for the 18 hour flight. In addition, on the outbound flight, my IFE (and many others) froze, and I was unable to use it. The food, however, is where South African Airways shines. It is not bad at all for economy class food, and the metal utensils made it feel a little more premium. SAA flight attendants are a mixed bag, with some being very friendly and others being not. Overall, if flying to South Africa again, I would not take this route again. The stopover in Dakar is very annoying, as it adds two hours to the journey time, and you are woken up in the middle of the night. Next time, I may try the nonstop JFK-JNB routing or a routing via Europe, but spending 18 hours in those seats is simply something I dont want to repeat. Pretty standard aisle seat, nothing remarkable. Overall, this plane feels awfully dated. Little legroom, temperamental entertainment console, and complete lack of power access are all unfortunate. Legroom actually not too bad in this seat. 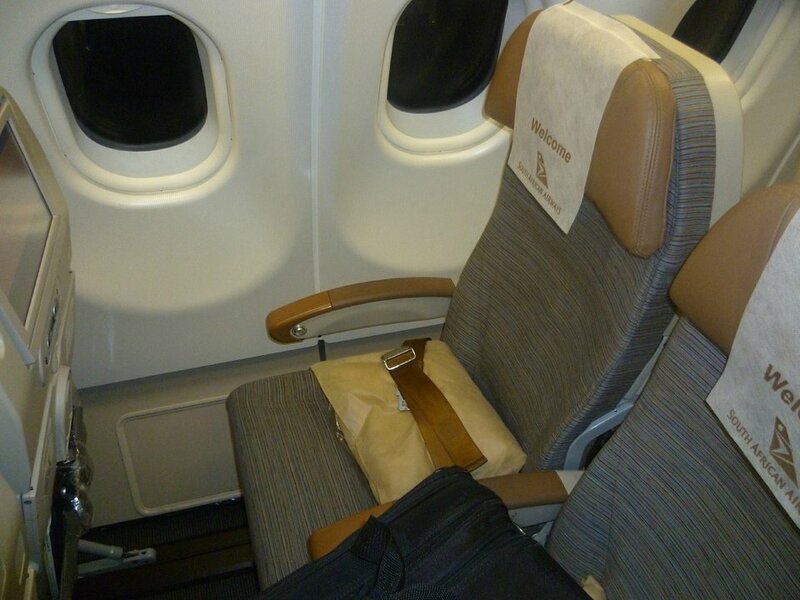 However the recline is limited but not that much difference to a normal economy seat that you would notice. 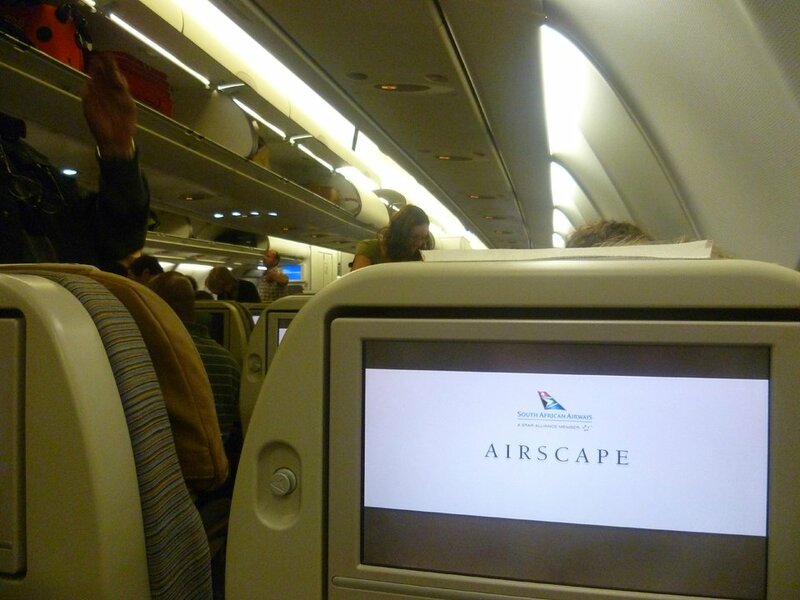 The SAA business class seats on this aircraft are NOT fully flat, they are inclined when fully reclined, and with various lumps and protruberances. 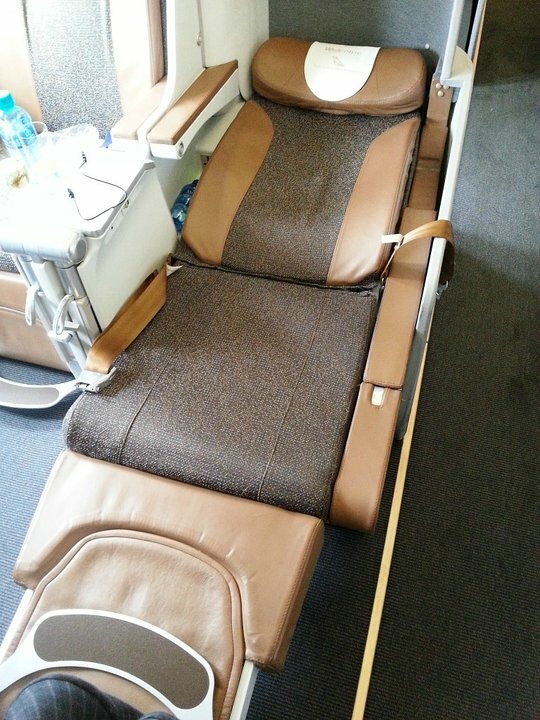 Further, they are upholstered partly in a rough tweed, so SAA provides a mattress-type pad to lay on the seat as well as a blanket/duvet. This is extra work to deploy as well as a source of lumps and wrinkles, and then must be stowed prior to landing. The hard edge of the steel footrest at bottom of the seat is uncomfortable. The proximity to the seatmate and their video screen is also annoying. It is difficult for the window seat passenger to reach the aisle over the fully reclined aisle seat on the outboard sides, so if in the aisle seat you are likely to be disturbed. Much less comfortable than pod-type layouts as on AC, BR, CX. Combined with indifferent inflight service, I would not recommend SAA business class. Very good seat with lots of room. It has the added benefit of being near the exits especially when the Passenger Boarding Bridge connects either to the Left first door or left second door. Either way you are close to the exit and generally out first. Seating is very spacious and relaxed. Only problem I have is that I cannot sleep on a flight and the few cm's between my and the person next to me's screen might annoy him if I keep it on and my reading light on. Otherwise excellent seat. Get an isle seat if you know you are going to have to go to the bathroom allot. IAD->JNB and JNB->IAD (18 hours each way) Worst seats I have ever experienced! Seat pitch makes it impossible to sleep when reclined, we have bruises on our knees from trying! Some hard edges along the bottom of the seat add to the misery. Very little padding on top of the seats as well. Lovely seat, coverts into flatbed. Good width, although no privacy screen between seats. Quiet cabin and great service. 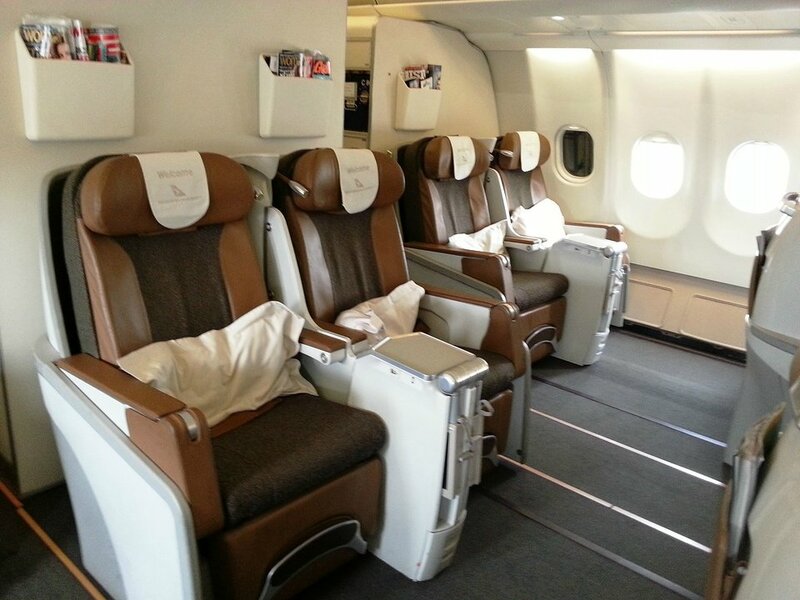 Very comfortable business class and recommendable. The Bright LED lights from the galley coffee stand just happen to shine directly at this seat until the crew closes the curtains. South African Airways flies 1 versions of A330-200.